If you’re a surfer you’ve never ordered a custom board before… trust me, you’re ready. Many surfers spend their whole lives buying stock models, figuring they are either not good enough for a custom, or that they are too expensive, take too long etc. Well, just like getting a made-to-measure suit will always fit you better than an off-the-peg one, a proper custom board can noticeably improve your surfing. Only difference being, the cost of a custom surfboard is identical to a stock model. By buying direct from the factory, you’re not only cutting out the middleman, you’re also getting expert advice and guidance from the shaper – what’s not to love about that? 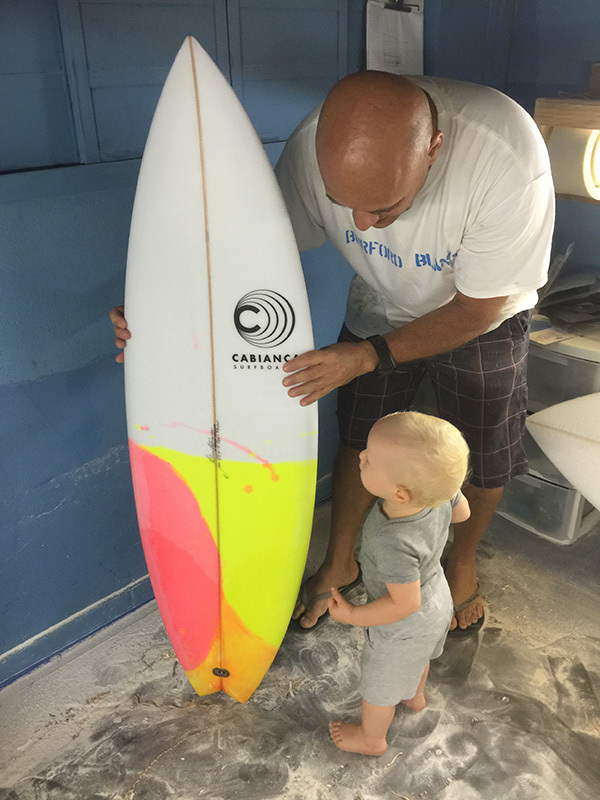 So if you’re an expert surfer who knows exactly what they need from their custom shortboard – head to our custom board builder section. And if you’re a beginner who wants to progress to intermediate as painlessly as possible… drop us an email via the surfboard enquiry button, and let’s get you set up! Izan gure berri. Ez dizugu spam-ik bidaliko.